St. Joseph river flooding in Michigan. This water has receded 2ft. The inside of the home needs to have damaged materials and equipment removed. Then it needs to be dried and sanitized prior to a remodel. Regional storms can require massive cleanup efforts with trained labor. 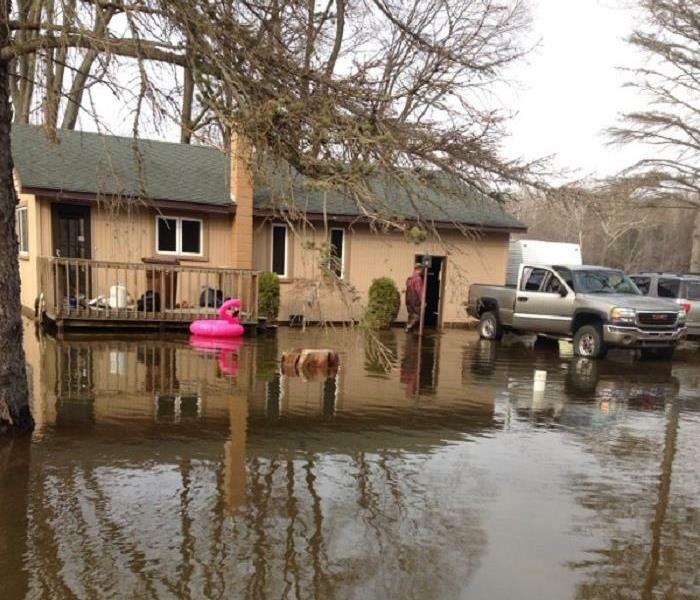 Recent flooding in Berrien County, MI needed many people working round the clock to clean homes and businesses. SERVPRO has the resources to help. 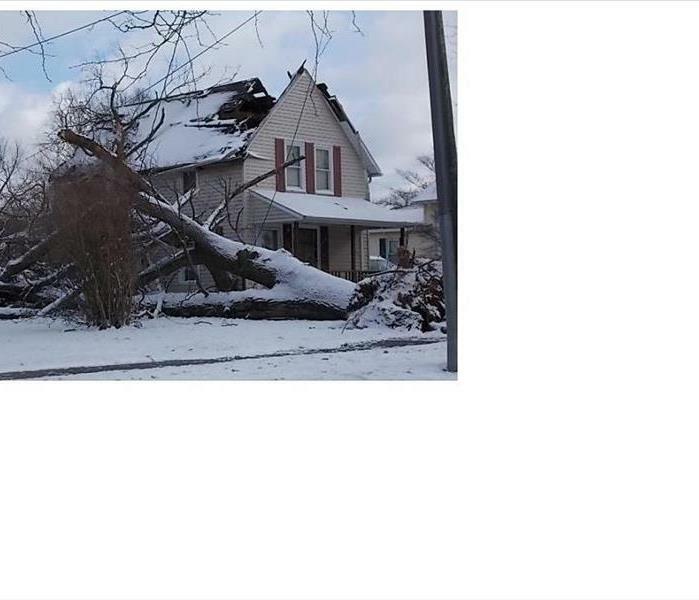 A winter storm blew through Berrien County, MI greatly affecting a neighborhood in Niles. Many large trees damaged homes penetrating roofs and snapping power lines. 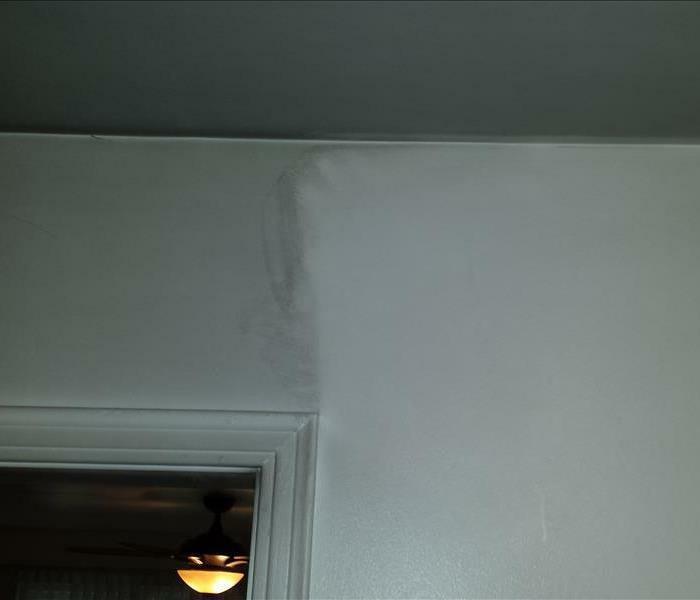 SERVPRO helped home owners clean up and repair damage. This room had mold in the drywall, on the wood studs, base plate and sheathing. SERVPRO of Berrien County removed affected drywall, dried and sanitized the area. The wall was then sealed before drywall was installed and painted. 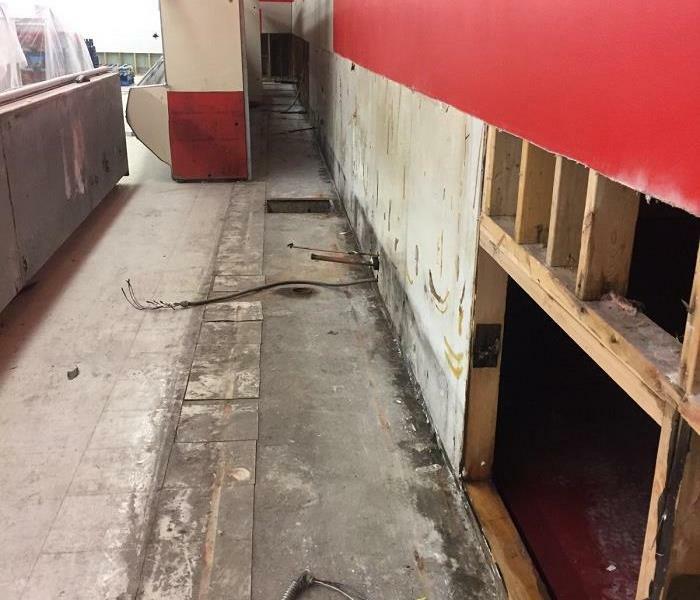 This commercial business was flooded and had mold in the walls. SERVPRO of Berrien County was hired to dry out, tear out and sanitize. The building was ready for remodel after the demo. Clean your chimney. 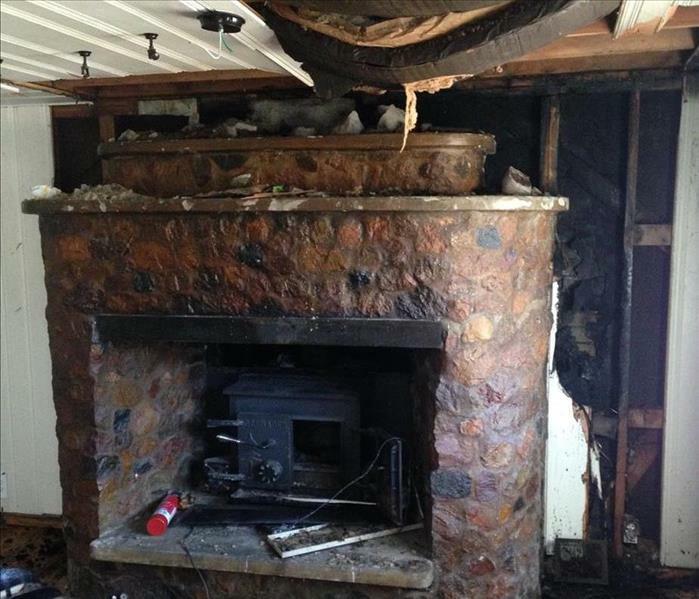 It is very common for a home to have a chimney fire and be totally destroyed. It is very difficult for the fire department to put it out. SERVPRO was able to clean a few of the contents. Basically what was left. 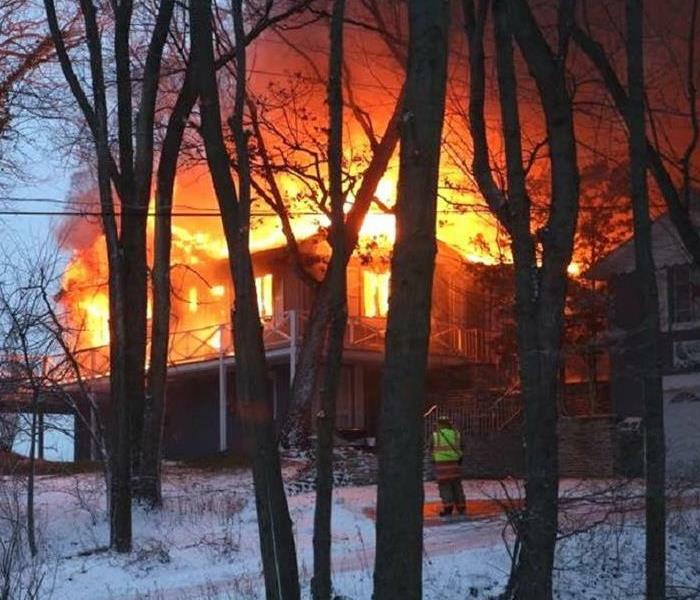 Lake Michigan bluff home that was vacant caught fire on a very cold and windy morning. 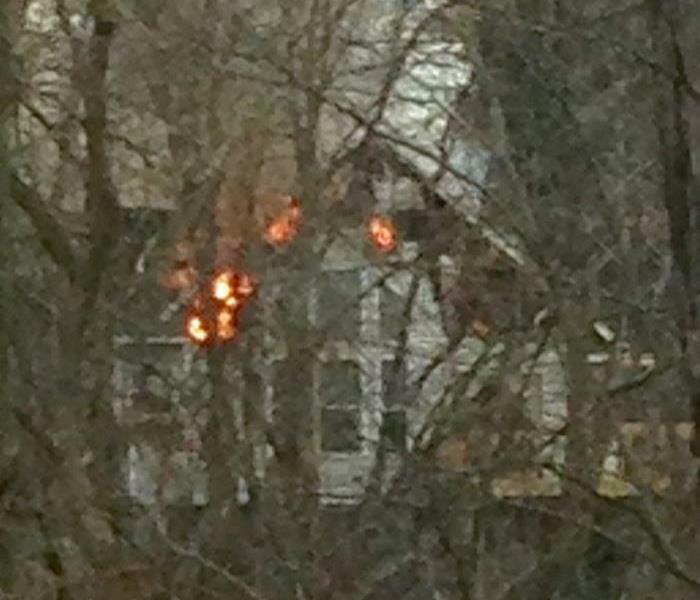 The fire dept was able to keep it from spreading to the neighboring homes. 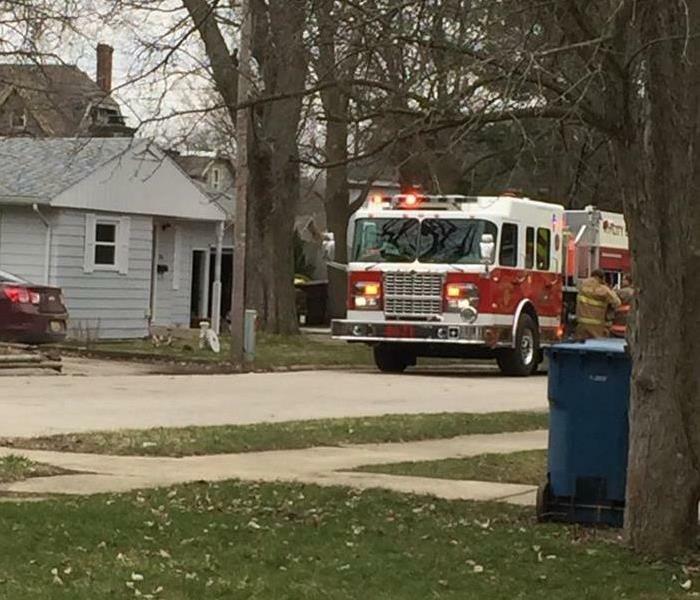 These homes had some smoke damage that SERVPRO of Berrien County cleaned. 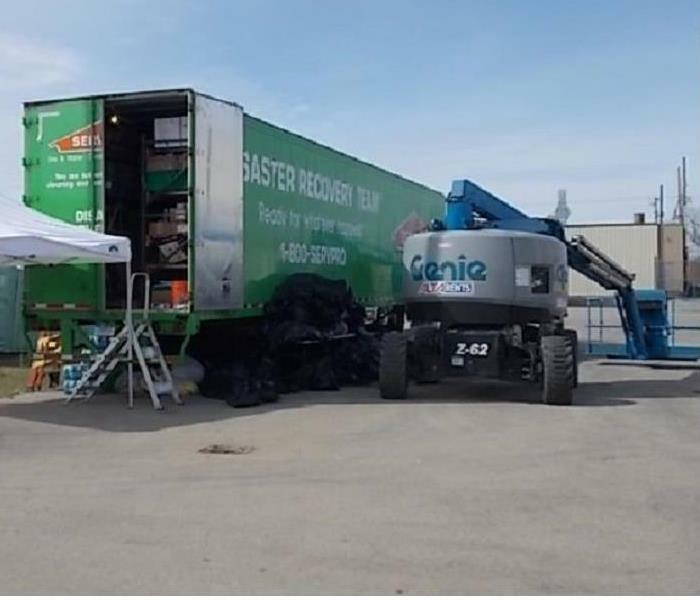 SERVPRO of Berrien County can clean up after the fire department leaves. 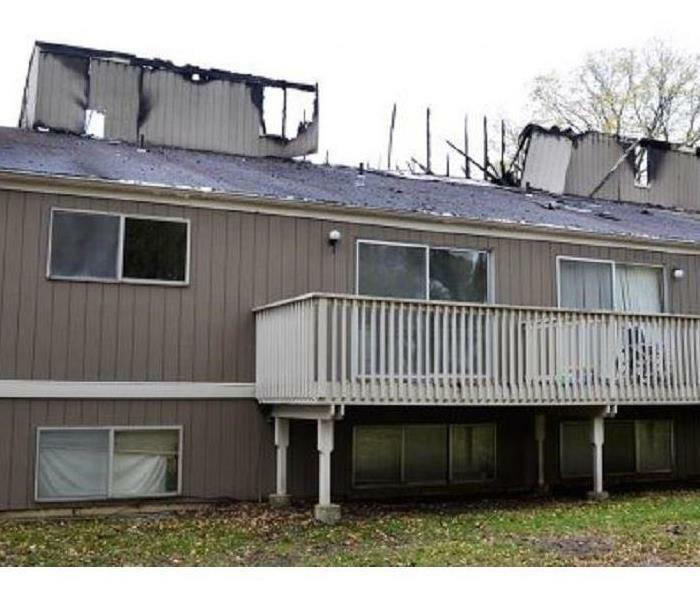 Niles, Michigan apartment complex had an early morning fire which displaced residents in 12 apartments. Unfortunately only a few had contents insurance. A local winery had a beautiful tasting room attached to the bottling operation. 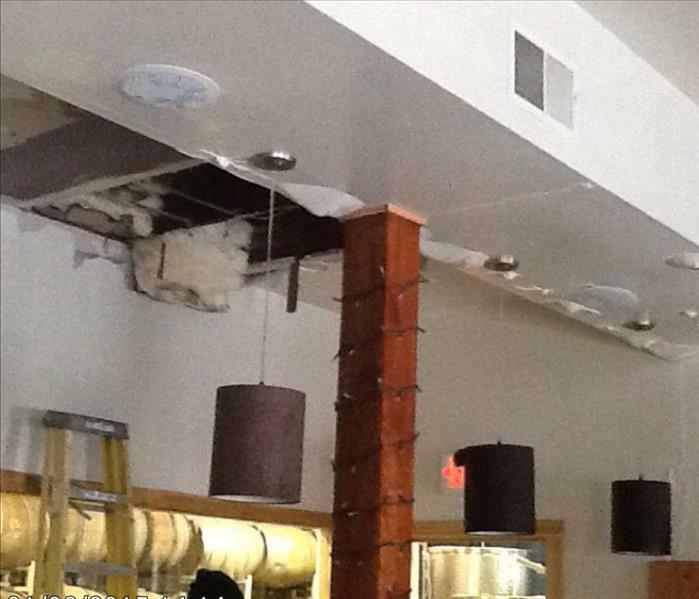 Pipes in the ceiling froze and leaked through the ceiling onto all the merchandise. The cleanup was extensive. Fortunately, they were closed for the winter. Apartment unit on the first floor had a mysterious leak under the laminate flooring. It turned out to be the water heater in a bedroom closet. The floor was torn out, dried, sanitized and replaced. Luckily, the complex had an empty unit they stayed in during the work. A local medical center had a clean water pipe break that flooded the reception area. We responded after they closed and had them operational the very next morning. Customer was very happy. House fire. Nobody hurt. Chimney became too hot and burned the surrounding wall, ceiling and into the attic. The local fire department put out the fire. SERVPRO provided the clean up, demo, rebuild. 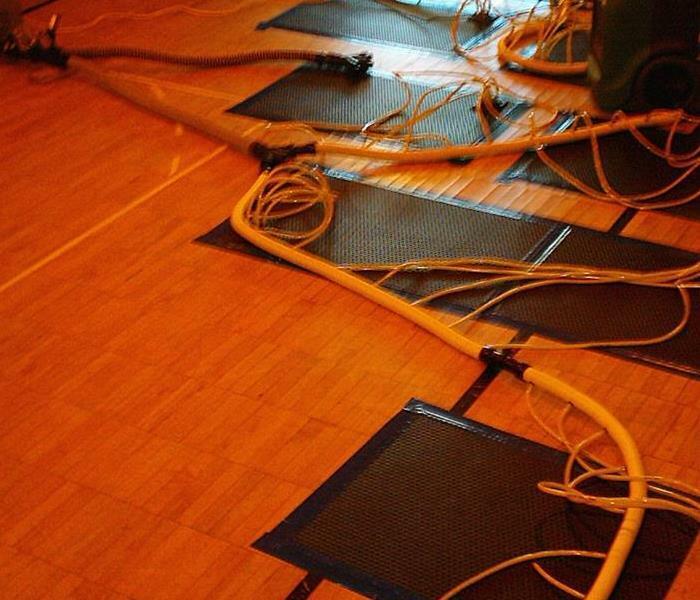 A school in Buchanan, MI had a frozen pipe break which flooded the gym. 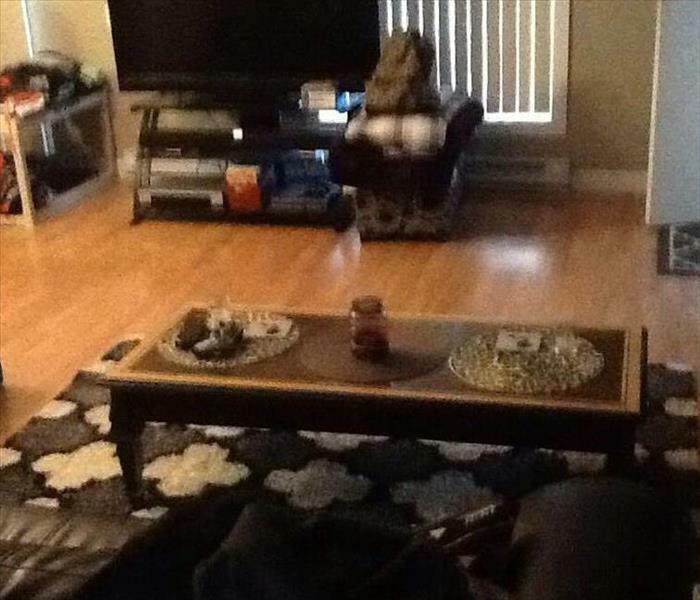 Water was trapped under the floor. SERVPRO of Berrien County set up heated containment to dry the gym floor. The floor dried without buckling. This was the debris left behind by a tenant of a rental home. If you are a landlord or property manager and find something similar to this call SERVPRO of Berrien County! We can safely remove the debris and sanitize the home so it may be safely rented again! If you have a sewage back up such as this STOP and call SERVPRO of Berrien County. This is a biohazard and should be cleaned and sanitized properly. 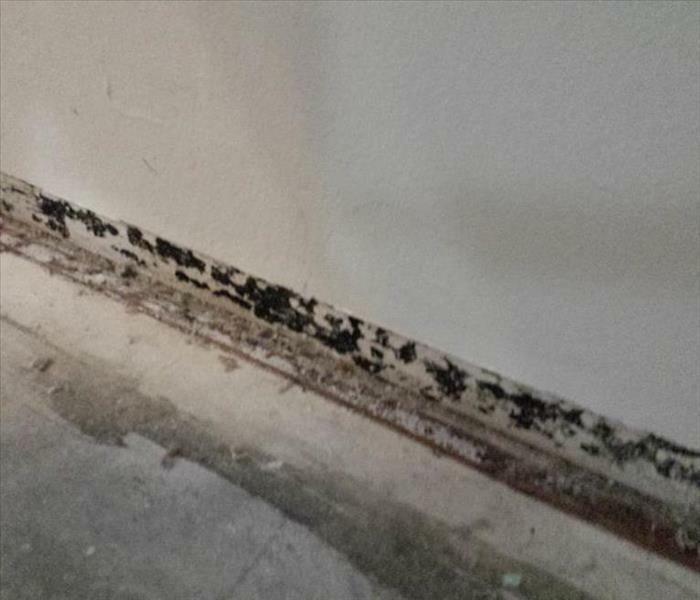 SERVPRO has trained technicians that can handle this kind of work. 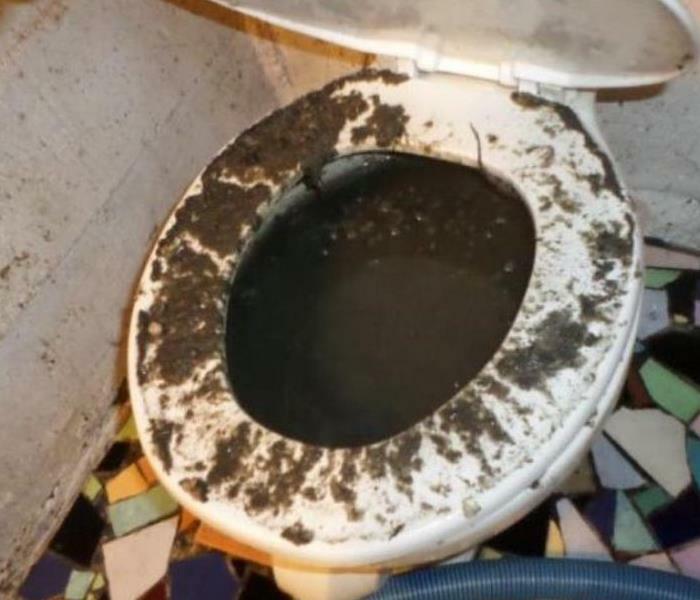 Contact your insurance company when there is a sewage backup. Just because the water came from somewhere low does not mean it wont damage other areas. 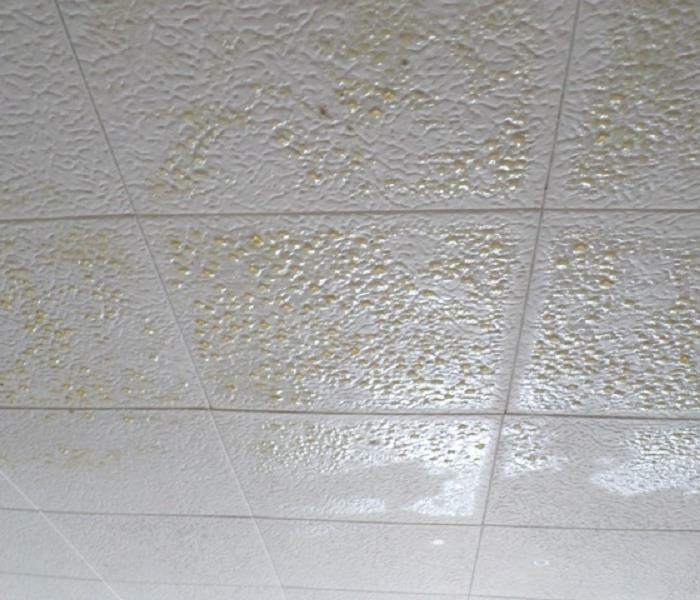 In this Berrien County home the humidity was so high the water was dripping off the ceilings. When you have a leak it is important to check all areas of the house just to be sure there aren't more problems. 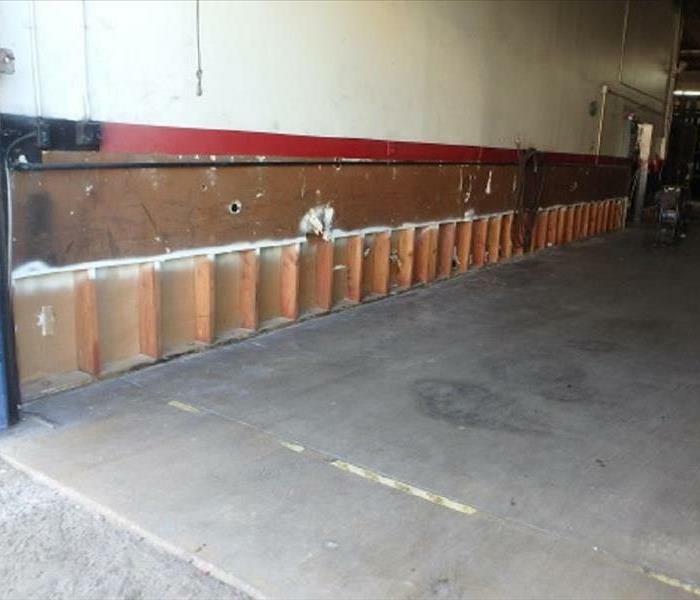 If a wall is only wet at the bottom we can minimize costs by only taking out what is wet. Here the walls were only wet on the bottom so our Technicians only removed a few feet of drywall. Even the smallest flood can cause big problems if not taken care of properly. 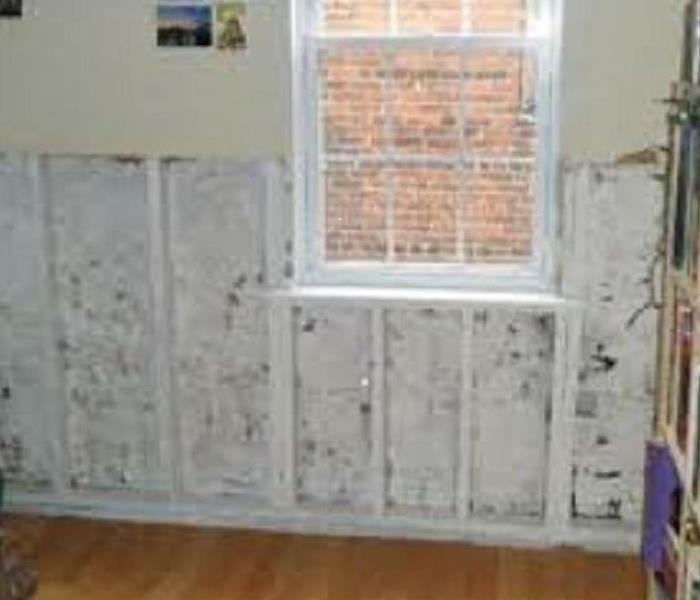 If base boards are not removed and the drywall isn't completely dried mold can form in a very short time. SERVPRO will not remove affected drywall at 2ft, sanitize the area, seal and replace materials. 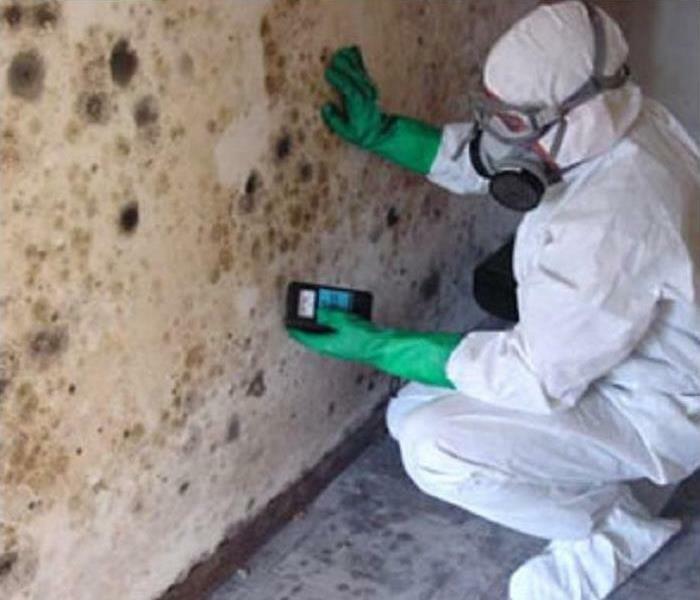 Call SERVPRO of Berrien County for expert, certified mold remediation. Sometimes drying a hardwood floor is a better option then removing and replacing. Here we are using an injectidry system to pull all of the moisture out of this gym floor saving our customer thousands of dollars. Clean up after a fire can be a long process. This picture shows one of the first steps to removing the soot. If you just tried to repaint without removing all the contaminates from the surface the soot will bleed right through. 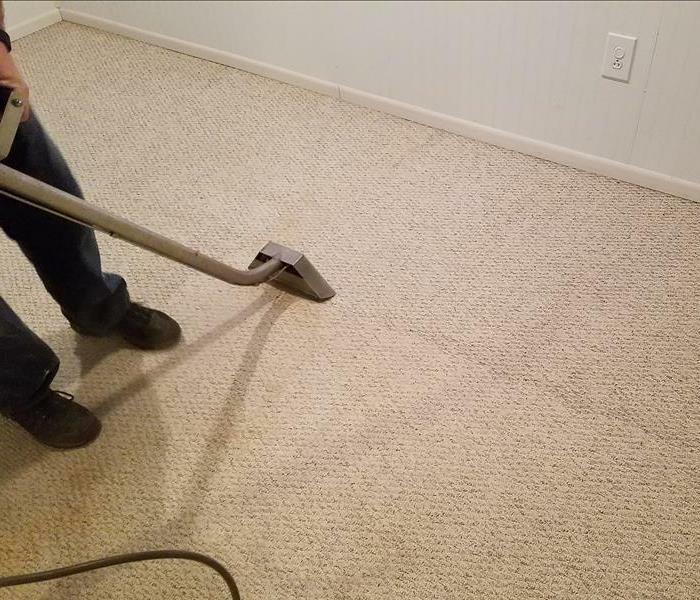 SERVPRO of Berrien County provides commercial and residential carpet cleaning. We can also do upholstery. Call us today to set up a time for our technicians to give you a quote.